Misuya Chuubei is a needle shop that has been operating in the Matsubara district of Japan's traditional capital, Kyoto, since 1819. Its artisans create Misuya needles using the same closely guarded techniques that have been employed since the Edo era, but improved over time as new ideas develop. 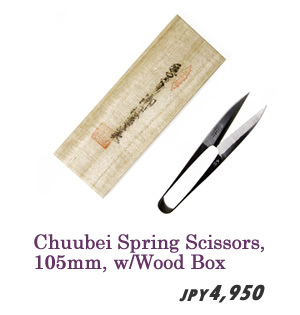 Today there are very few shops that bear the Misuya needle mark, but Misuya Chuubei continues to be patronized by both professionals and regular hobbyists. 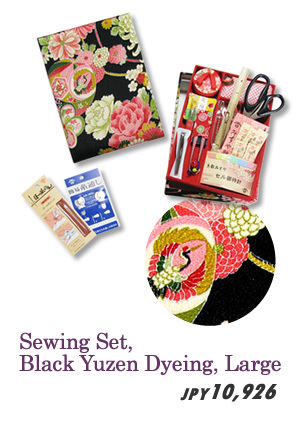 Kyoto is said to be a city so obsessed with clothes that people will send themselves to the poorhouses with their purchases of garments, but this culture has produced a demand for quality that has led to the high standard seen in Misuya needles. Traditionally, most clothes, ranging from the everyday clothes of normal people, through to their special outfits, and all the way up to the spectacular apparel of the aristocracy, were made with these needles. The tailors would sew each stitch one by one, with the appearance of the eventual wearer firmly in their minds at all time. 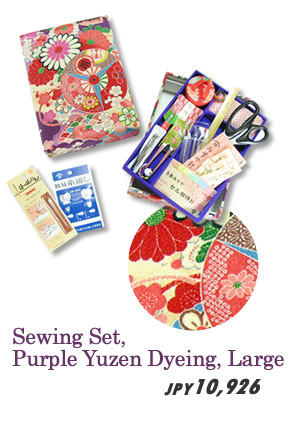 Kyoto was a city where people possessed an aesthetic sense that would lead them to live their regular lives in humble frugality in order to afford better clothes, and Misuya needles had to be of a standard that would meet the demands this created. These demands were many. They had to ease the strain on the tailors and be easy to work with, they had to be strong and resistant to bending or breaking, and not only could they not damage the material they were being used with, they had to in fact highlight its qualities--such as luster, pattern and feel. If any of these demands were not met, they would frustrate the tailors and ruin the wearer's hopes to look their best. There may be many who think needles are just needles, but Chuubei did not think that way, and held these qualities to be of vital importance in making theirs. Respecting and upholding tradition while adopting new ideas to create the best needles. 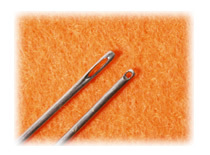 We here present needles for all sorts of sewing, each designed specially for their purpose. 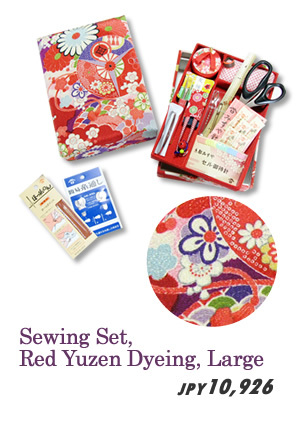 Sewing with a fine needle is relaxing, and these needles are certainly that. Needles are made of steel. But if a sewing needle made of this famously hard material is just hard, it will not satisfy. 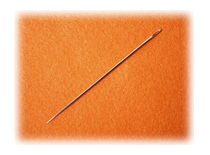 For the smooth passage of a needle when sewing, it must also be flexible. But as well as being flexible, it must also have a strong core; if it does not, it will break or bend and become difficult to sew with. Hardness is prone to being brittle; softness is prone to bending. Combining these two seemingly contradictory properties is a very difficult task. Techniques that make it possible have been added over time to the tempering process, which is still used today. If they are hard yet yielding, and have an aesthetically pure luster, then we can call them Chuubei needles. 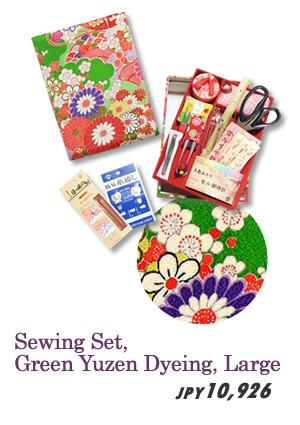 The eyes of Misuya needles are made as close as possible to perfect circles. Answering the challenge of how large a hole can be made in the thin body of a needle is one of the times at which a maker of needles shows their worth. The small hole is then polished and made smoother. The larger the eye, the easier it is to thread the needle. And the rounder the eye, the less likely the thread is to break when threading. A regular eye prevents the thread from behaving irregularly and twisting as it is being sewn with. The eye and thread do of course touch, but because the inside has been polished smooth snapping of the thread is prevented. 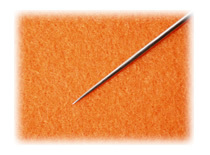 The best shape for a needle is one that gradually and smoothly becomes thinner from the eye to the point. If the point becomes sharp too suddenly, the material will resist the needle's passage and risks being damaged. A needle that gradually becomes thinner almost eliminates the resistance of the material, enabling smooth stitching. One important stage of making a needle is the polishing of the surface. Today the standard polishing method is a widthways polish, but Misuya needles use a lengthways polish. Widthways polishing can be effectively performed by rollers, but because it occurs perpendicular to the needle's passage through the material it increases resistance. 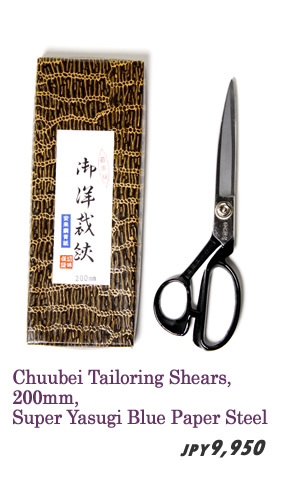 In contrast, Chuubei's lengthways polishing produces lines so fine they cannot be seen with the naked eye, running in the same direction as the needle moves. These grooves act as guides when the needle passes through the fabric, enabling an even smoother passage. But if the grooves are large enough that they can be seen with the eye then the needle will not perform well. Nor will it perform well if the polishing is uneven. In order to achieve an even finish that does not distort the shape of the needle, a polish even on the scale of 0.001 millimeters is required. The polishing stage is a point where even long-experienced artisans nervously hold their breaths. Even the final stage--the wrapping of the needles--occurs under the watchful eye of a human. Before wrapping, the quality of the forging and finish of each needle is checked one by one. A needle that is believed to have the potential to cause damage when used to sew is removed, so you can use each of the 25 needles contained in each pack with confidence. 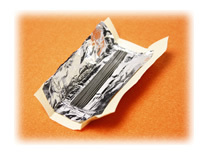 The wrapping is designed to protect the needles, so it features aluminum foil that prevents the buildup of humidity. It is also bears Chuubei's mark. 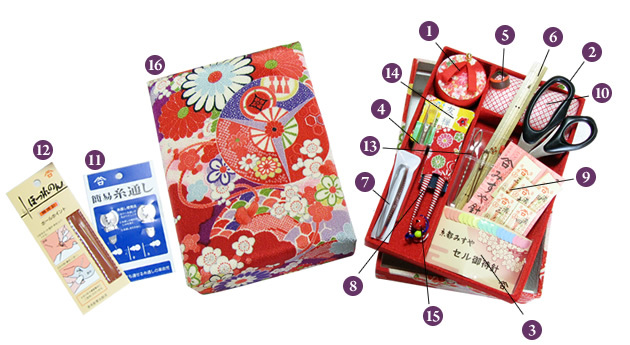 A set of sewing indispensables presented in a brightly decorated yuzen box. 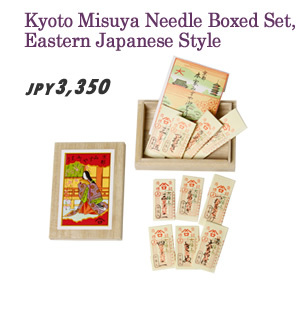 Most of the utensils in this set, including the Misuya needles, are hand made. They're all certain to come in handy when you're sewing. Makes a perfect birthday or wedding present. For holding small items such as needles so that you don't lose them. 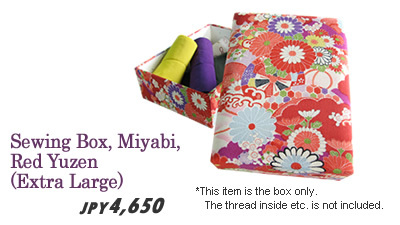 Features a cute Japanese pattern. Stainless steel scissors with a total length of 200mm, blades 80mm long, and a fine cutting edge. Easy to insert thanks to their slightly yielding strength, and because the points do not bend they will not damage the material. A handy tool for unpicking machine stitches etc. With this guard, even the tip of the needle can safely touch your finger, enabling fast sewing. Also useful when working with material that will not easily let the needle pass through it. So that it's right there on hand when you want to measure a size or rule a straight line. Useful for removing tacking stitches etc. Uses special steel for a sharp and durable edge. With a yuzen cover. With large eyes to make them easy to thread. Inspected one by one as they are wrapped. Handy for holding needles such as marking pins that you often use. Use when the needle's eye is difficult to see or the needle is difficult to thread. 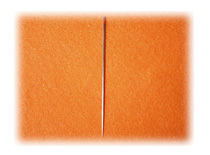 In contrast to regular mending needles, this one uses an extra fine needle. The tip is round, so it will not break threads, damage the material or leave a visible hole. Handy when threading a drawstring through a pouch or elastic through a waist. Beautiful spools wrapped in silk crepe. Perfect for winding on basting threads or transferring threads from reels. With a cute bell attached, so you know where these scissors have gone if you drop them. Of the finest quality and featuring yuzen. In two levels; store items of your own in the bottom level. 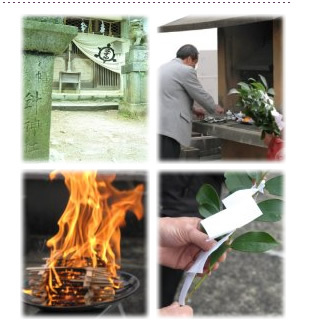 Every year on December 8, Misuya Chuubei holds a needle memorial service. This is to express thanks to those needles that have bent, broken, or otherwise outlived their usefulness, and to pray for an improvement in skill with needles in the coming year. For the staff at Misuya Chuubei, the day of the needle memorial service, with its thanks for the previous year and its hope for the next year, is like a combination of the last day of work and the traditional first shrine visit of the new year. 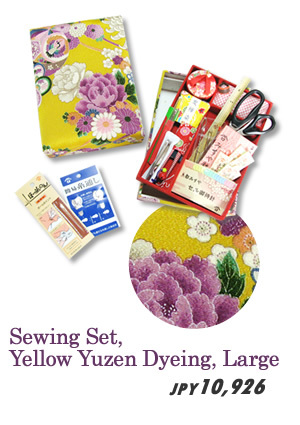 Every year, on the day of the needle memorial service, those engaged in sewing-related professions gather, give thanks to the work of their needles, and pray for the development of their craft. While this may only be one day during the year, it shows the respect held for the humble needle.